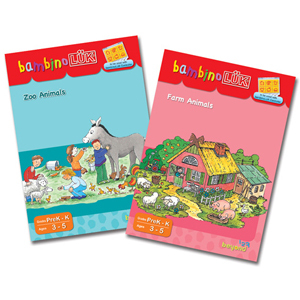 Two different animal themes are provided for an enriched learning experience. Through animals and activities in zoos and farms, these exercises foster children?s developmental skills in visual perception, concentration, good observation, and logical thinking. 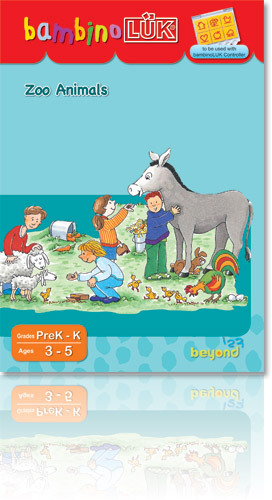 It reinforces children?s knowledge with animals and improves their language skills at the same time. Through the use of familiar zoo animals and zoo activities, this workbook focuses on utilizing children?s knowledge of animals, while developing problem solving skills, and encouraging linguistic development. Visiting a zoo is an adventure for young children. These vivid illustrations introduce zoo animals and their habitats. The interesting stories presented in those pictures give children a chance to practice their language skills and enhance their logical thinking ability via the challenging exercises. 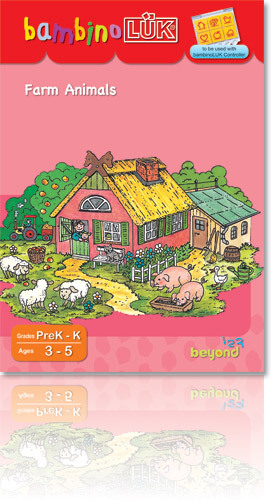 Through the illustrations of familiar farm animals and farm activities, this workbook focuses on reinforcing children?s knowledge of farm animals, developing problem solving skills, and encouraging linguistic development. Young children love animals, especially tame, cute farm animals. These interesting story pictures of the farm animals give children the best chance to practice their language skills and reinforce their knowledge about animals. Different training elements are seamlessly presented in context to challenge children?s logical thinking ability at the same time.